Félix Solís wanted to create a wine that would capture the pleasure-loving, life-affirming spirit of Spanish people. He named it Albali after the brightest star in Aquarius. 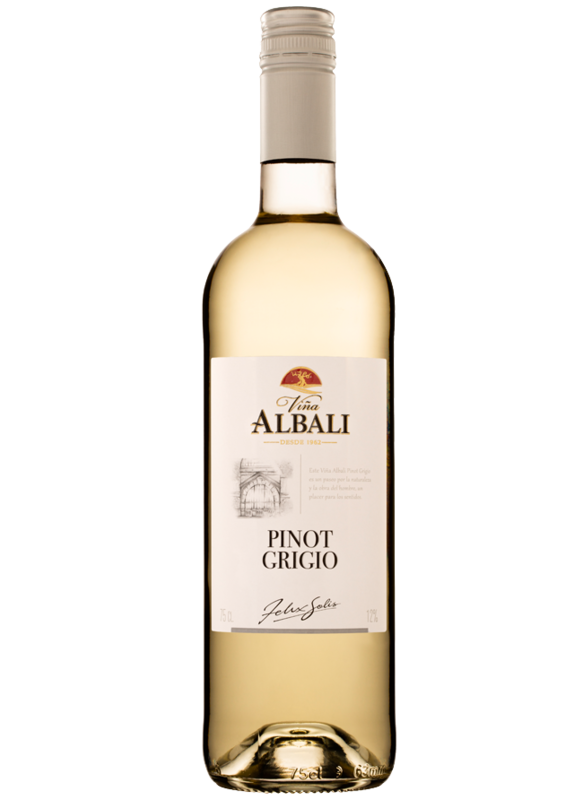 Pinot Grigio is a zesty white wine that is as refreshing as a cold glass of lemonade on a hot summer’s day. The second most popular white wine in America, Pinot Grigio is a dry white wine that has a punchy acidity with flavors of lemons, limes, green apples and honeysuckle. A delicious crisp whit with light floral aromas and fresh citrus flavours in the mouth. Enjoy chilled with chicken, seafood, fish or salads. Every stage of cultivation and elaboration is carefully controlled to prevent oxidation. The grapes macerate at low temperature to obtain the variety’s maximum expression.